I first came across dynamic duo from Tokyo, N-qia, in the second part of last year. And it wasn't just their music; they'd teemed up with Russian music-maker Neeva on his Even If… EP for the song 'One Day'… then came their clatteringly beautiful songs for their latest album Fringe Popcical. They've, since then, intrigued me with their haunting style – Nozomi's vocals floating free and faraway; the electronic yet organic acoustics of Takma's (also known as Serph/Reliq) soundscapes. They were first inspired to create music together by "Sci-Fi films" and "X zone experience" – whether the latter refers to a super-scope game for the SNES called X-Zone, I don't know. 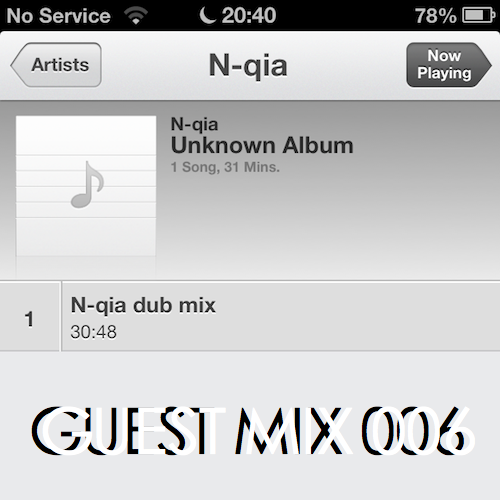 Now... a while ago they were kind enough to create a handmade mix for YES/NO, consisting entirely of handpicked parts of the N-qia back-catalogue in a whirlwind of experimental noise, electronic apparitions and beautiful melodies. So at the same time as saying THANK YOU to this super-cool duo, I'd also like to introduce you – whoever's reading this – to half-an-hour of hauntingly pretty stuff, mixed especially for your ears this fine day.